If you are a beginner or an old craftsman, we have got you covered with these creative and beautiful DIY Macrame Wall Hanging Ideas! This boho-chic macrame decor adds interest to a dull corner and hides unsightly storage boxes from plain view. Make your own with this DIY. Nothing spells the cheer of festive season quite like this pom-pom tassel wall hanger. If you want to refresh a certain wall, forget about paint and picture frames and create this macrame wall hanger display instead. Floating shelves suspended by macrame knots make a nice home for your indoor planters where they can rest peacefully without any interference. Here’s the DIY. Copper piping amps up the bling appeal of this plain white macrame magic. Get the instructions here. Surprisingly, you don’t need an inch of loom or weaving to work up this fascinating piece of macrame art. Redo your living room for the holidays with this shabby-chic yarn macrame fitted with silk flowers that stay relevant year-round. This no-weave mural uses the power of cascading tassels to brighten up a dull wall. This quaint little fall wreath is a silent reminder of cooler days to come! Here’s the detailed step by step tutorial. This DIY wall hanging needs you to employ your macrame braiding skills in making a chic boho wall decor. You require some loops and macrame cords, that’s it. Tie macrame knots across a long dowel rod to turn a dingy wall into something eye catchy. You can learn the knots and full procedure here. Decorate your home with this gorgeous macrame wall hanging with a wooden dowel, beads and a few other supplies. Check out the tutorial here. 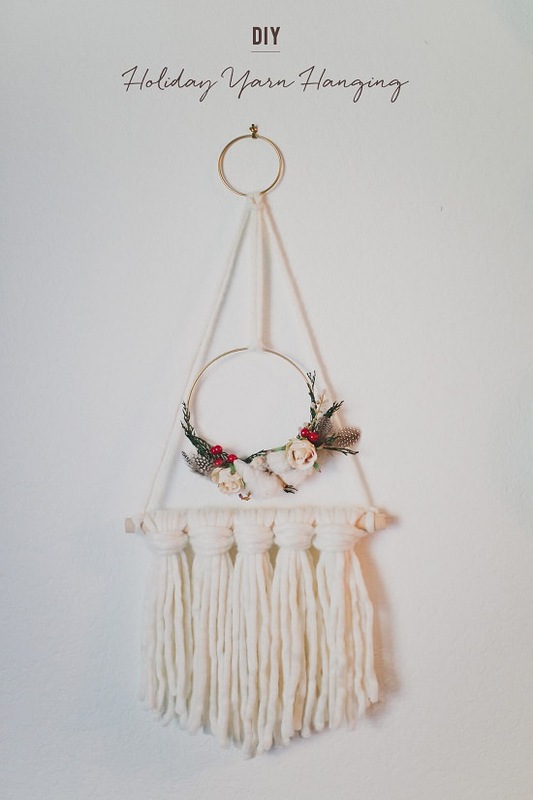 Here’s another easy DIY macrame wall hanging idea you can try. Add embellishments like beads or dip it in the paint to make it look even more attractive. 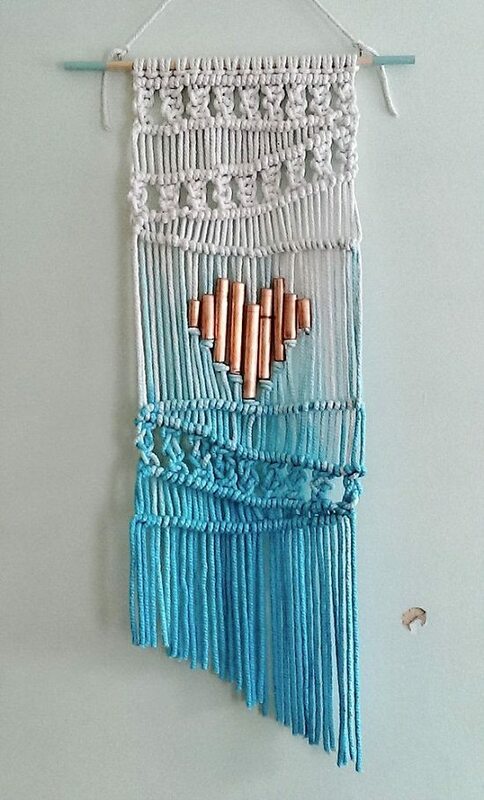 Follow this detailed tutorial to make this ombre macrame with copper pipe heart. All you need is basic macrame supplies and copper pipe pieces to DIY this. This macrame wall hanging project is a beautiful way to transform your boring wall with a pop of color. They used jersey fabric instead of rope for this creative project. 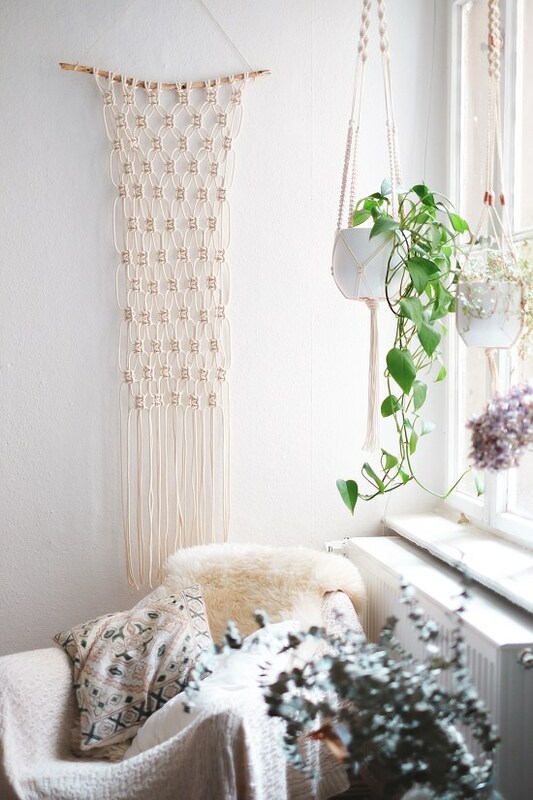 This elegant macrame wall hanging is easier to create then it looks. They used brass tubing above tassels to give it that modern look. Check the tutorial here. Anyone looking to try their hands first time at making macrame can DIY this idea. It is a very basic project but looks rustic when done. Isn’t this macrame looking really stylish? Check out the step by step tutorial here to make it. This one measures 17 inches wide and 3 feet long, but as always, you can adjust the size according to your needs! Add colors to your dull and boring wall with this macrame yarn garland. All you need is yarn, washi tape, and a scissor to make this beautiful project. Although a little difficult for beginners, this YouTube tutorial makes it easy to understand it step by step. Despite looking like a difficult project, this is an easy project any beginner can try. Follow this tutorial here to learn how to make it. This easy project uses square knots like in #28 to make this wall hanging. Watch the tutorial above to learn more about it. Watch this YouTube video to learn to make gorgeous macrame hanging! 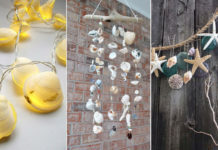 All you need is macrame cord or clothesline from a local store and get going this DIY. The use of wood makes it look rustic, you can use a branch of the tree with interesting shape or driftwood for this. Visit this site for the tutorial. This beautiful DIY is sure to a conservation starter. Although it might look like an impossible project, it is actually easy and requires just one type of knot to complete the project. Check out the step by step tutorial here. A bit difficult project, this boho DIY macrame wall hanging can be the one if you are looking for a macrame with curves. Here’s the tutorial. 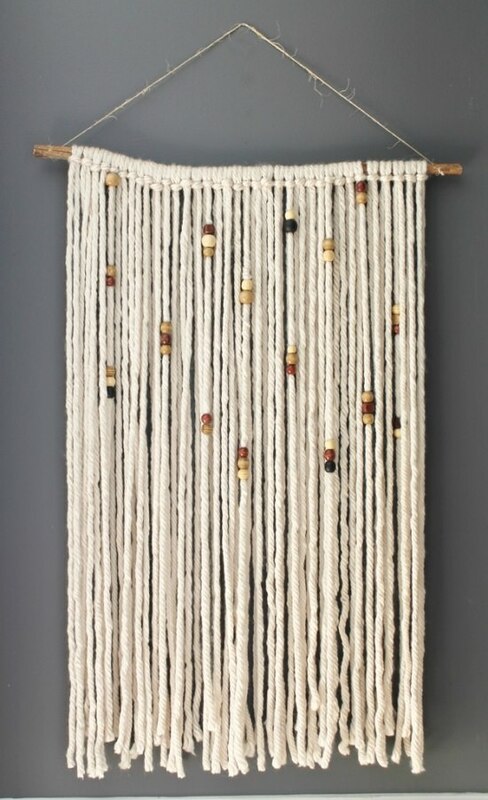 This woven wall hanging is a simple project that you can carry out in just a few hours. It can also make a perfect handmade gift. This cool dip-dyed macrame is be easily matched with your home decor theme. Follow this tutorial to make this easy project. One of the easiest macrame idea on our list! You just need to attach wool strings to a piece of wood with a simple knot than simply knot beads to enhance the look. Use can use different colors of strings for a more interesting look. Give your home a trendy look with this easy DIY project. You’ll need two metal rings and yarn for this project. 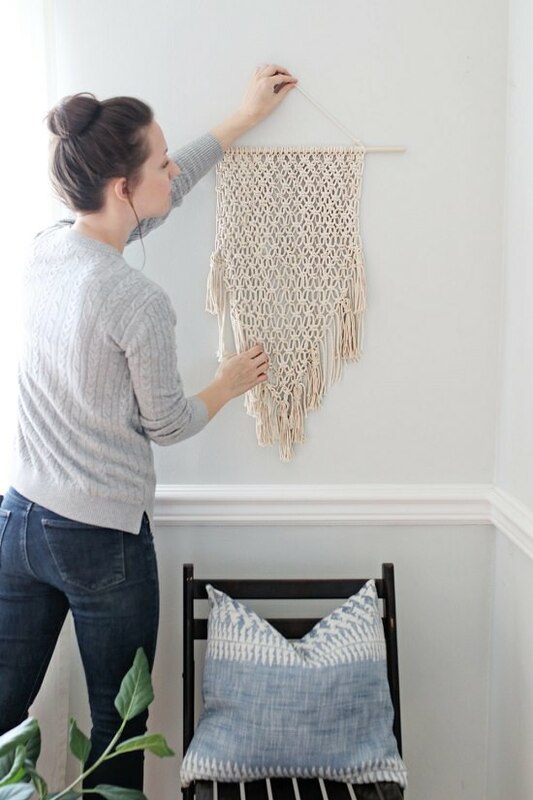 Done by a complete beginner, this macrame hanging can easily rock any boring wall of your home. Here’s the detailed tutorial for this project.